The Atlantic Drive is without doubt an awe inspiring and dramatic experience. 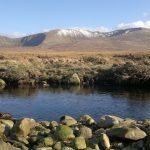 Starting from Mulranny this drive takes you along a very rugged coast, dramatic rough seas and cliffs. Here You can see the First Atlantic Drive Loop which takes you fromthe starting point of Mulranny to Currane. This coastal road offers you fantastic views of Clew Bay, Achill Sound and the bridge to Achill where you turn back for Mulranny via Tonragee and Polranny. This route offers you a view like no other of Blacksod Bay.